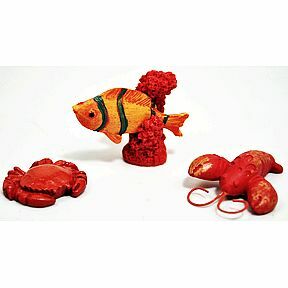 4 pc set of mini seaside accessories. Garden décor. Seaside World. Let's go explore and spend a day by the shore. Experience the magic of a MiniWorld Garden.